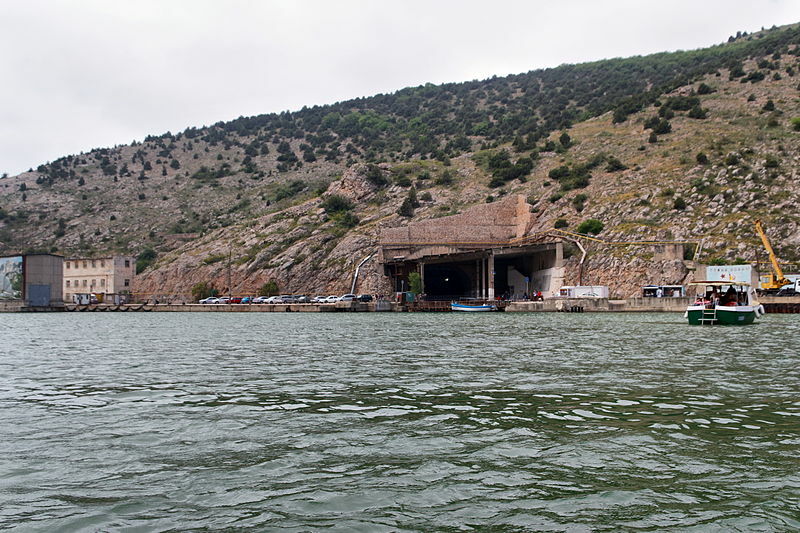 Abandoned Military Architecture: Secret Soviet Submarine Base at Balaklava near Sewastopol, Crimea, Ukraine is now a naval museum but was a top secrete military base during the times of the Cold War. 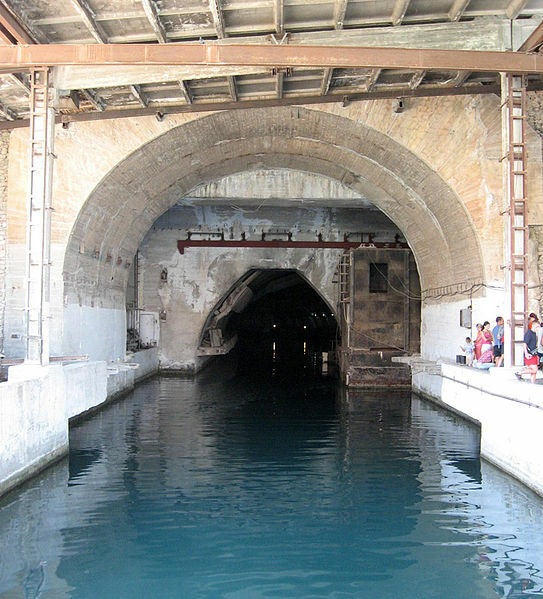 Constructed between 1957 and 1961 it was a first category anti-nuclear protection complex. The site is a fascinating example for a building combination of water sign Cancer the sign of building homes, sheltered places and of natural caves as well as for living in the water with earth sign Capricorn the sign of mountains and fortresses. The confrontation of these two signs that form a natural opposition and contradiction is a fascinating constellation for a submarine base. Astrogeographic position for morphogenetic field level 3 which describes how the subma´rine shipyard and base is embedded in the surrounding area: the construction site is located in self-defensive water sign Cancer sign of sea.shells (as submarines?) caves, shorelines as the natural habitat of crabs, feeling at home, emotional independence, motherhood and the indicator for living in the water. The 2nd coordinate is located in highly defensive, solid, conservative, strict earth sign Capricorn sign of mountains, rocks, fortresses, rules & regulations, control, stability, professional skills, government institutions and isolation. Capricorn stands for the walls and security installations at the place. A plausible astrological factor that might have been expected at a place like this is Scorpio – the sign of the underworld, containers, metal-working, welding, submarines as such, bunkers and strong armour-plating is not present at this site. It looks like Cancer through its natural relationship with Scorpio (both are water signs) seems to function as its direct relative here. 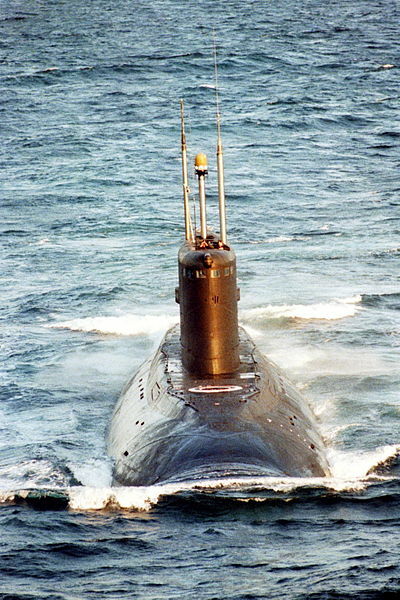 KILO class diesel-powered russian attack submarine. Submarines are analogies of The image describes Cancer`s aspect as the sign of sea shells – where a hard shell protects the highly sensitive interior. 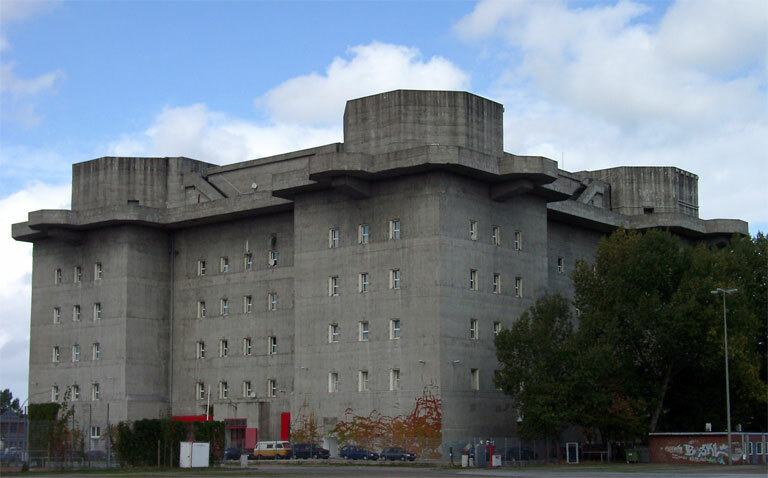 This anti-aircraft tower is a strong example for the resonance of bunkers and with water sign Cancer. And it reveals that Cancer does not merely rely on thickest walls for its defense – it is also ready to threaten and attack. Sprals are traditional symbols for the womb and ovaries – which both are major analogies of Cancer. 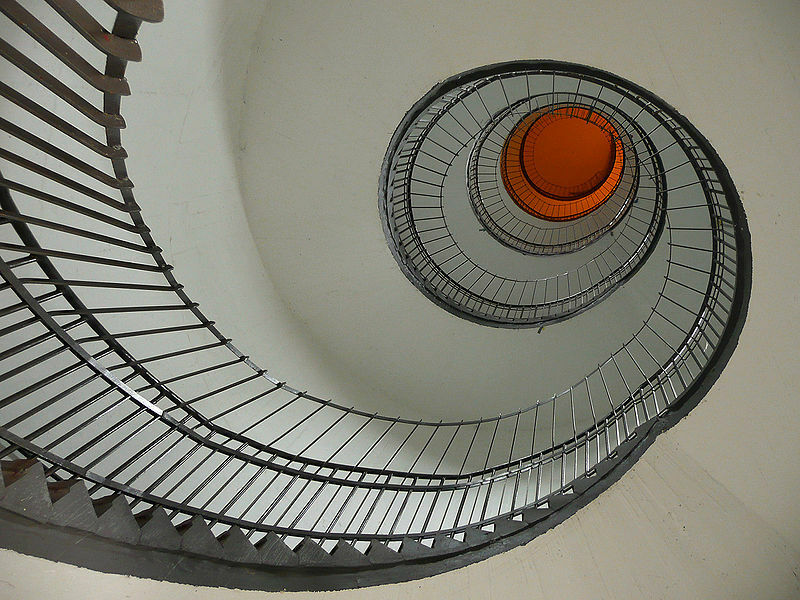 The spiral staircase inside the anti aircraft tower is a fascinating representation of that resonance.